It really is a tough beat to be an artistic prodigy in movies these days, because inevitably your competition and friends are all plotting to kill you. The way the trailer for The Perfection starts off, you can tell that something is not quite right. Allison Williams’ Charlotte seems to not be taking the plight of Logan Browning’s Lizzie very seriously, as if she suspects it is all in her head. We are then given glimpses of Charlotte and Lizzie and see that they are fellow musicians, friends and perhaps lovers. However, Lizzie has attained a real level of fame that Charlotte is perhaps jealous of, and Allison Williams looks positively devious in the role. Charlotte’s feigned concern and confusion is revealed for what it is when she pulls out a butcher knife, basically proposing that Lizzie cut off her bug-infested arm. It’s a hilarious and creepy moment in a trailer full of unsettling imagery. The Perfection trailer has plenty of body horror elements with the vomit, the bugs under the arm and the head shaving. There are also a bunch of strange images of food, from a raw chicken to tomatoes to some kind of Asian dish. The food all takes on a nauseating quality in the context of the trailer though and something tells me this one is best watched on an empty stomach. What’s interesting about The Perfection is that it’s not entirely clear if the horror elements in the film are all “realistic” or if they will go into the realm of the supernatural. There is a surreal quality to the trailer and there might be some sort of psychological element at play, because we do see indications that someone may be undergoing electroshock therapy. 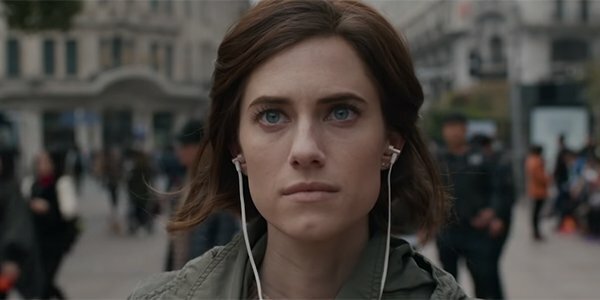 And although Allison Williams’ character appears to be nefarious, it also seems like she isn’t in complete control of what’s going on. I really dug the dark humor in this trailer and it’s great to see Allison Williams in another horror film after her disturbing performance in Get Out. I really have no idea what is going on in this movie, but I look forward to laughing hysterically, barf bag in hand. You can check out the poster for The Perfection below. The plot of The Perfection finds Allison Williams’ troubled musical prodigy seeking out the star student of her former school, and the journey they go on together has dark and shocking (also gross) consequences. From Don Hemingway director Richard Shepard, The Perfection debuted at Fantastic Fest last year to largely positive reviews that indicate it is a total blast and a movie that is full of surprises. Previous Did you catch these cameos in the 'Game of Thrones' season 8 premiere?